You are on Contact Details. Skip to the next section. The telephone number for visitors with disabilities is 0141 580 8639. The email address for visitors with disabilities is disabilitymatters@rangers.co.uk. The telephone number for ticket sales is 0871 702 1972. To view the web page for ticket sales click here (opens in new tab). The telephone number for hospitality enquiries is 0871 702 1972. The email address for hospitality enquiries is hospitality@rangers.co.uk. To view the web page for hospitality click here (opens in new tab). 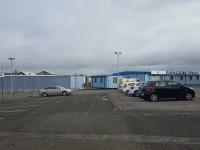 The telephone number for parking enquiries is 0871 702 1972. To view the web page for parking enquiries click here (opens in new tab). There is not a/are not steward(s) trained in British Sign Language. 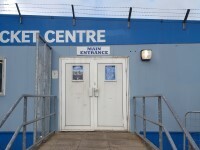 There is not an assistance dog toilet or toileting area at the venue/near by. On match days there are 6 access stewards who are located at the designated seating areas. The access stewards wear a red high visibility jacket, with the words "Access Steward" on the back. Stewards are in the process of receiving national autism training. Stewards receive dementia awareness training. 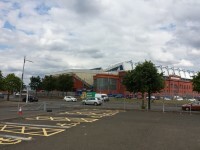 Ibrox Stadium is located on Edmiston Drive, off Paisley Road West. 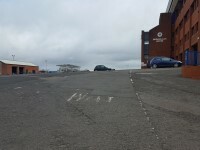 On matchdays there are 5 car parks located around the stadium. 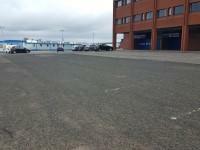 There are Blue Badge parking bays located outside Argyle House and Broomloan Stand. There is a bus stop within 150 metres of the stadium. 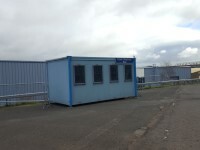 There are bus stops located on Edmiston Drive and Broomloan Road. For more information on Glasgow Buses please click here (opens new tab). The nearest Railway Station is Glasgow Central. For more information on ScotRail please click here (opens new tab). The nearest underground station is Ibrox SPT Subway Station. 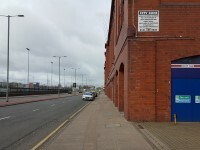 Ibrox Subway Station is located on Copland Road. To access the stadium turn right out of the station and follow Copland Road before turning left onto Mafeking Street. The access point to the outer concourse is on your left. For more information on SPT please click here (opens new tab). You are on Parking (Non Matchday Parking). Skip to the next section. The car park is located around the stadium. 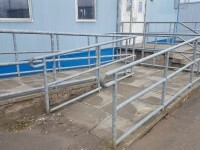 There is step-free access throughout the car park. 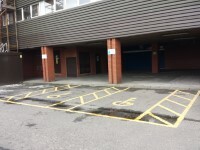 There is/are 7 designated Blue Badge parking bay(s) within the car park. 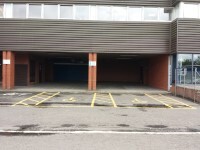 The dimensions of the designated Blue Badge parking bay(s) surveyed are 470cm x 510cm (15ft 5in x 16ft 9in). Standard parking bays are clearly marked. The route from the car park is accessible to a wheelchair user unaided. The stadium is clearly visible from the car park. 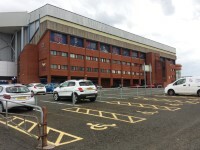 The Blue Badge parking bays are located at the front of Argyle House and the Broomloan Stand. 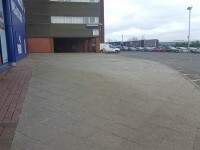 There is a parking area for the Ticket Office located opposite the Ticket Office Centre. You are on Matchday Parking. Skip to the next section. For more information about the matchday parking please click here (opens in new tab). You are on Outer Concourse. Skip to the next section. There is step free access throughout the outer concourse. 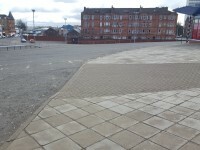 The surface of the access roads around the stadium are tarmac. 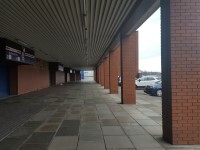 There is a covered walkway along the front of the Broomloan Stand, Copland Stand and Sandy Jardine Stand. The surface of the pavement at the front of these stands is concrete tiles. There are dropped kerbs in places from the access roads to the covered walkway. 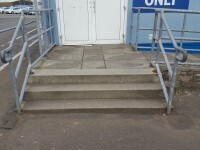 There are portable ramps available that can be used to overcome the kerbs if needs, please contact a steward for more information. There are some slight and steeps slopes in places around the outer concourse. 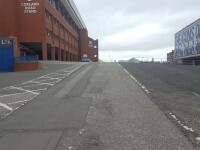 There is a concrete path that runs along Edmiston Road outside the Bill Struth Main Stand. On matchdays there are food kiosks located at the four corners of the stadium. There are programme stalls located around the outer concourse. 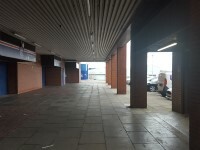 There is an activity area located to the right as you enter the outer concourse from Edmiston Drive - East Access Point. 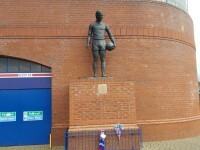 The Ibrox Memorial is located on the east corner of the Bill Struth Main Stand. There is a stadium plan/map on the concourse. There is a steward/member of staff available for assistance on match days. 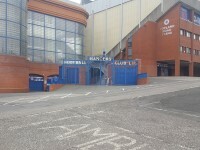 For more information on the Bill Struth Main Stand East Concourse please click here - (new tab). For more information on the Bill Struth Main Stand West Concourse please click here - (new tab). For more information on the Bill Struth Main Stand Front Tier please click here - (new tab). For more information on the Bill Struth Main Stand Rear Tier please click here - (new tab). For more information on the Broomloan Stand Front Tier please click here - (new tab). For more information on the Broomloan Stand Rear Tier (Family Section) please click here - (new tab). For more information on the Sandy Jardine West Stand (Away Section) please click here - (new tab). 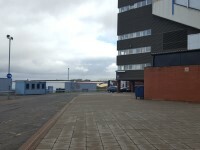 For more information on the Sandy Jardine East Corner Stand (Ibrox Suite) please click here - (new tab). For more information on the Sandy Jardine Stand Front Tier please click here - (new tab). For more information on the Sandy Jardine Stand Rear Tier please click here - (new tab). For more information on the Copland Stand Front Tier please click here - (new tab). For more information on the Copland Stand Rear Tier please click here - (new tab). For more information on the ticket office(s) please click here - (new tab). For more information on the Rangers Megastore please click here - (new tab). For more information on the Argyle House Main Reception and Hospitality please click here - (new tab). For more information on the Bill Struth Main Stand Hospitality please click here - (new tab). For more information on the Ibrox Suite please click here - (new tab). For more information on the Bill Struth Main Stand Club Deck Hospitality please click here - (new tab). This information is for the entrance located at the front of the Ticket Office Centre. The height of the step(s) is/are 14cm. 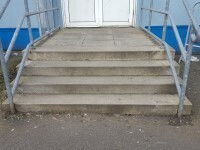 The going of the step(s) is/are not between 30cm and 45cm. 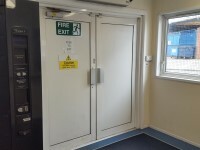 You are on Outside Access (Accessible Entrance/Ticket Office Centre Exit). Skip to the next section. This entrance is also used as the Ticket Office Centre exit. When exiting the Ticket Office Centre the doors open away from you. You are on Ticket Office(s). Skip to the next section. There is/are 1 ticket office(s) located around the stadium. 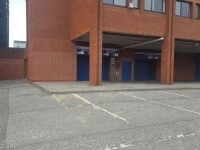 The ticket office(s) is/are located opposite the Sandy Jardine West Stand. The ticket office(s) is/are approximately 2m from the accessible entrance. Some of the ticket offices are clearly signed. There is step free access to the ticket office(s). There is a clear unobstructed route to the ticket office(s). There are windows, TVs, glazed screens or mirrors behind the ticket office(s) which could adversely affect the ability of someone to lip read. The ticket office(s) is/are not placed in front of a background which is patterned. The lighting levels at the ticket office(s) are good. 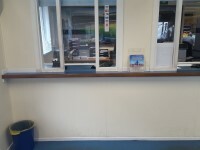 The height of the ticket office(s) is/are medium height (77cm - 109cm). 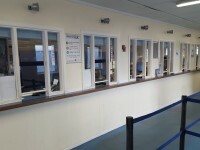 There is sufficient space to write or sign documents on the ticket office(s). There is not a low section at the ticket office(s) with a height of 76cm or below. 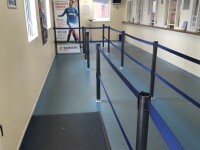 There is not a clear knee recess beneath the lowered section(s) of the ticket office(s). The ticket office(s) is/are staffed. There is not a hearing assistance system at the ticket office(s). The ticket office(s) is/are for home and away supporters. The ticket collection point is located to the right of the ticket office. The height of the ticket collection window is 115cm. 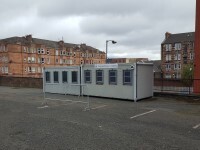 The matchday sales point is located in front of the Copland Road Stand. The height of the matchday sales window is 115cm. 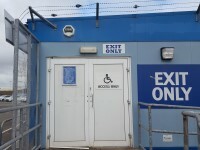 The nearest accessible toilet(s) is/are located Broomloan Stand Front Tier. 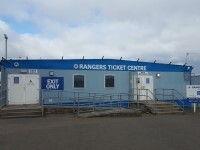 The nearest standard toilet(s) is/are located Broomloan Stand Front Tier.